An important aspect of any SEO is site crawling- the way Google and other search engines index is directly linked to bots crawling the site effectively,. The way to do this is to improve the efficacy of crawling, guiding the bots to the more relevant pages of your site . Googlebot ‘s resources to your site are not unlimited, and the quality of the site such as navigation, will determine the end result. Update the site for higher chances of being crawled. Underline the pages the googlebot should position by doing away with obsolete pages. Submit sitemap to Google Search Console. Don’t want certain pages to be indexed ? Try adding NoIndex tag to the page header code, and verify using GSC . Setting suitable rules robots.txt file can enable you to manipulate the places you want the bot to crawl and stop the bot from crawling irrelevant pages. A very handy tool for directing crawlbots, though inadequate knowledge of how this works can result in exclusion of important parts of the website. Address and set right broken links using suitable tools to ensure optimization of the time spent by the bot on your site. Interlinks provide pathways for bots to go in deeper. Reducing time taken for the page to load, a well designed site structure, optimizing images, original content also aid the faster crawling of the googlebot. Which in turn will boost the SEO. 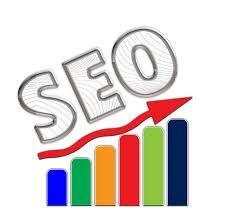 Or simply get in touch with us at Creative for Search Engine Optimization.